I’ve always thought Calgary had a pretty skyline — and I’m not alone in that opinion as it’s been featured in several movies. Rising from the prairies, a modern city that seems to be optimistic about its future. Downtown Calgary is about 12 miles southwest of Calgary International Airport, so you often see it as you fly into the city. Usually it’s too dark or I’m sitting on the wrong side of the plane or there’s some other reason not to pull out my cell phone and snap some photos, but recently the conditions were perfect. One of the most popular attractions in Whitehorse is this sternwheeler which sits on the banks of the Yukon River in the heart of the city. It’s one of only two surviving sternwheelers which plied the waters between Whitehorse and Dawson City — a relic from the time when waterways were preferred transportation route , before roads and railway provided quick access to the heart of the Yukon. I left for a 2 week vacation to the Yukon and Alaska last June 29th, just 8 days after the summer solstice. My flight departed Calgary at 9:45 pm just in time to enjoy a pretty sunset, which you can see below (photos are in sequentially arranged). There had been heavy rain that day and the clouds were starting to break apart as the sun dipped below the Rockies. As we flew further north, the daylight seemed to be increasing, something I expected but still surprised me by how relatively bright it was. Soon the sun was above the horizon again, illuminating our plane’s engine. It only grew brighter the further north we flew. 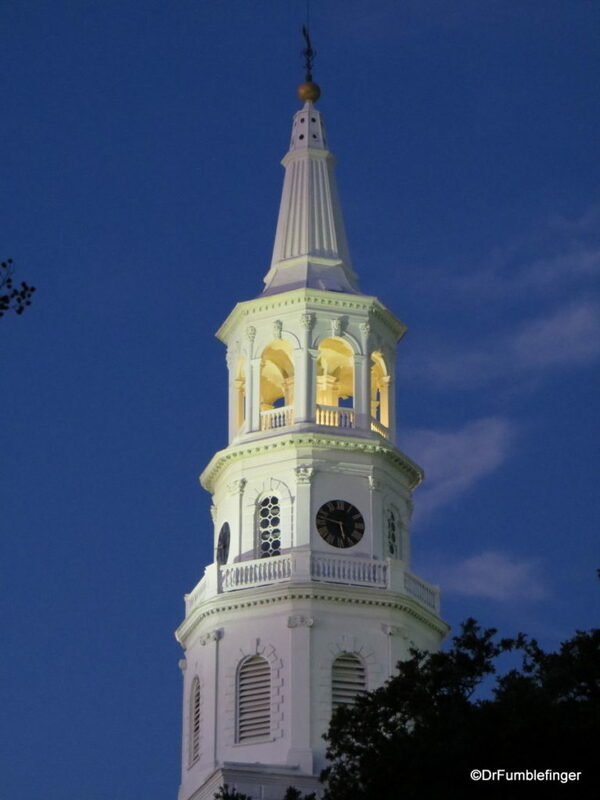 Sitting prominently on the corner of Broad and Meeting, across from the old Post Office building, St. Michael’s is the oldest church in Charleston. Today’s church stands on the site of the first Anglican Church built south of Virginia. It’s a National Historic Landmark and is on the National Register of Historic Places. In the 1680’s a small wooden church was built on this spot and named St. Philip’s. By 1727 the church had become too small for the growing congregation and a new larger church was built on Church Street, but it was destroyed by fire in 1835 and had to be replaced.